A 13-year veteran of Porter Research, Russell Green Jr. is a dynamic and flexible business professional that excels in multiple roles within the Porter Research organization. Mr. Green has more than 15 years of progressive operational and managerial experience in the market research sector. He is responsible for planning, training and coordinating the operations and management of the Porter Analytical Research Team, while also serving as a Chief Project Consultant on all research projects. Utilizing continuous education of market research best practices, Mr. Green has been able to implement innovative initiatives to enhance the internal efficiency, quality and effectiveness of the Analytical Research Team. Through the provision of effective methods and strategies, his knowledge and leadership bears immediate and significant impact on the optimization and delivery of relevant and reliable market research to clients in a timely and quality-driven manner. Mr. Green’s comprehensive knowledge of market research has been cultivated over the years with experience in executing consumer research, B2B research, and healthcare information technology research. Since joining Porter Research, he has been responsible for the overall management and execution of more than 400 projects that are inclusive of every phase of healthcare information technology research, from conceptualization, planning and data collection of results to reporting. Mr. Green’s deep understanding of primary research methodologies and fundamental proficiency with data analytics and statistics allows him to provide relevant and informative reports that include visual displays of quantitative and qualitative information. He has managed and executed projects providing experience and knowledge to provider and health plan studies for companies like McKesson, MedeAnalytics, IHIT, MedAssurant, Availity, 3M, Elsevier, MedAssets, Craneware, Navicure, Gateway EDI, McKesson, Relay Health, J.A. Thomas, Kronos, MedQuist, ACS, Patient Works (Newbold), Thomson Reuters, etc. His expertise and knowledge have been utilized and applied to every business line of Porter Research – Customer Experience Management (CEM), Market Needs Opportunity (MNO), Win / Loss / Competitive Intelligence, and Demand Creation (Profiling/Lead Generation) programs. 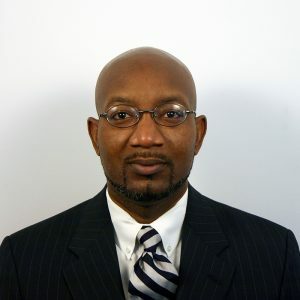 Mr. Green is a degreed professional with a Bachelor of Science in Business Administration with a concentration in financial management and marketing from Clemson University. His post-graduate work is in the area of human resource development.